Splunk an industry leader tool has the capability to show the meaningful representation of human-generated data. DATA is a never-ending thing. We, humans, are contributing on a daily basis. This data is showing no signs of slowing down. Let’s see some stats which will give a clear idea about the Big Data world. The no of mobile users has grown by 1 billion in the last 4-6 years. Mobiles are the prime source for more than half of the web traffic (all across the world). From tweets to likes and from shares to upload this digital industry is at its boom. Some facts are so astonishing that it makes hard to believe – 90% of the data that exist today have been created in the past 2-3 years. This is around 2.5 quintillion bytes of data every single day. Talking of the internet there are more than 3.7 billion users all across the globe. Google (the well-known search engine) alone process more than 40,000 searches every second (more than 3.5 billion searches every day). This was just google as there are several other search engines that contribute to these numbers. As we have witnessed this huge pile of data which is so astonishing and mind-boggling. Splunk tool has the potential to harness this huge data and transform it into meaningful data relevant for the business owners to understand. Splunk is a platform that analyses data (generated from machines). It stands apart from its competitors in some critical and decisive way, let’s see how it captures and analyses massive chunks of unstructured machine data. Third, one can convert these results into reports, interactive charts or graphs for a wide range of uses. The insights gained from these data have wide applicability and contribute to a huge number of Use Cases across any organizations. But things are not that easy when interacting with this huge data and this is the challenge in leveraging them as well. These data are dizzying arrays of unpredictable formats, so complex and tough to understand. A traditional tool or platform was not designed to deal with this variety, velocity, variability and volume of data. This is where Splunk comes into the picture (just like any superhero does). It can be considered as a definitive record of what exactly happens in any business (n matter how big or small). These data have huge possibilities if tapped in the right way. One can understand where things are going wrong in a business, loopholes in organizations. Let’s see some real time use case. Use the Splunk tool for VMWARE to get a greater understanding of what is happening at the operational level in your VMWARE vSphere environment. Some common use cases are listed below. The Splunk tool platform for VMware collects inventory data that enables you to better monitor the components in the VMware vSphere environment. In general, these inventory objects include details of hosts, details of virtual machines, data they store and network. All of the dashboards in Splunk application for VMware display a real-time operational state of the entities in your vSphere environment based on thresholds that are predefined in the Splunk App for VMware. In addition to reporting one can also monitor the performance. Look at host details and compare the host in your environment. Monitor the real-time dashboard that visualizes performance events across the virtual topology map. Drill down the problem sources and access granular performance metrics using accelerated Splunk enterprise searches. Proactively detecting these performance related issues and prevention to end users. New features for their mobile applications where a user can record the voice for ordering and also with order tracking facilities. How Splunk Tool came to rescue this problem? Interactive Maps: These were customized to show real-time orders that were flowing all across the US. Real-time feedback: Feedback from the customers to know what their experiences were and expectation (if any). These were intended for future enhancement in the services. Dashboards: Several dashboards were created to capture various set scores and target limits. A means of comparison what was set (means target) and what exactly happened (actual). These dashboards were formed to give weekly, monthly status reports along with region wise. Payment Process: To capture different payment methods report an error free transaction details. Promotional Support: A detailed study of how promotional activities are going. Performance Monitor: To monitor the performance of an in-house point of sales. Real-time visibility in the office or on the way. It’s easy to download and deploy. Gain valuable web intelligence about customer experiences. No matter what business you are in, your organization creates a massive amount of data (Machine Data) generated by the websites, applications, servers, network and mobile devices that power your business. This is one of the fastest growing and complex part of the BIG DATA. 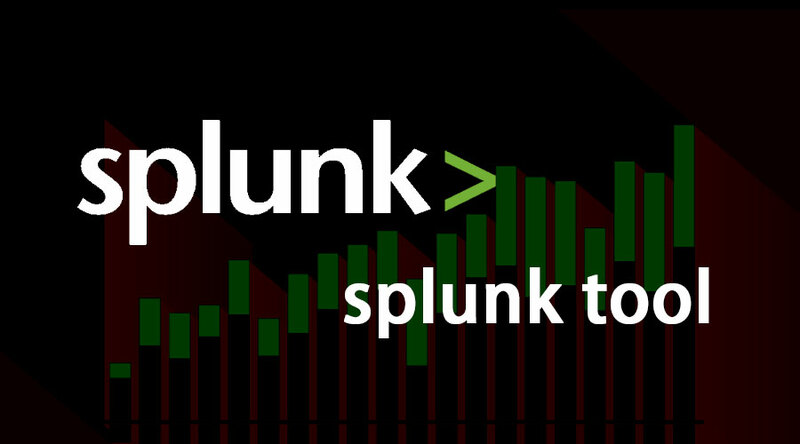 Splunk software transforms your machine data into valuable real-time insights. These insights deepen customer’s understanding, improve service levels, reduce operational costs and mitigate cybersecurity risks. This is nothing but “OPERATIONAL INTELLIGENCE”. Splunk software collects monitors and analyzes any form of machine data. This machine data collects categorical records of all activities and behavior useful for your company. Prior to this tool was present this process of collecting the machine data was time-consuming and a lengthy process. Splunk makes all the machine data accessible from one location in real time.